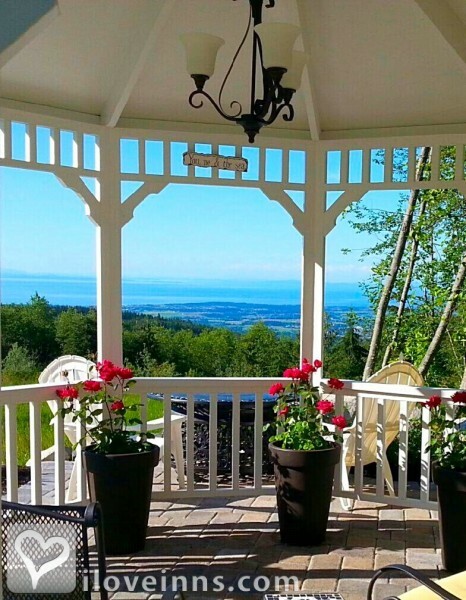 Sequim bed and breakfast travel guide for romantic, historic and adventure b&b's. Browse through the iLoveInns.com database of Sequim, Washington bed and breakfasts and country inns to find detailed listings that include room rates, special deals and area activities. You can click on the 'check rates and availability' button to contact the innkeeper. Located in the rain shadow of the Olympic Mountains on the Straits of Juan de Fuca, Sequim is the sunniest, driest place in Western Washington with less rainfall annually than Santa Barbara, California. Sequim's mild maritime climate is one reason Sequim has become the Lavender Capital of America. Each July, Sequim hosts the Sequim Lavender Festival that draws thousands of visitors from around the world to tour the farms, weave a lavender wand, sip a glass of lavender ice tea and browse a Street Faire that features local artists, sculptors, wood carvers, jewelry designers and all things lavender. Sequim is also a mecca for lovers of fresh food. In fact, the farm-to-table movement is in full bloom in Sequim and the Olympic Peninsula. Once home to more than 100 dairy farms, the fertile Sequim prairie features a unique microclimate that allows local farmers to produce food year-round. Sequim is home to dozens of Artisan bakeries, cheese makers, honey producers, U-pick berry patches and organic farms. When you add line-caught halibut, wild King salmon, Quilcene oysters and Dungeness crab to the menu, you have a food lover's paradise. Sequim has wonderful small restaurants and bistros that focus on locavore, Olympic Coast cuisine. The Sequim area is also a prime birding destination with annual migrations at the Dungeness National Wildlife Refuge, rich riparian forests, active eagle nests along the Dungeness River and a wonderful interpretative Audubon center. Approximately 70-percent of the nesting sea bird population of Puget Sound and the Straits of Juan de Fuca hatch their young on Protection Island which lies just north of Sequim Bay. The island is perhaps better known for one of the largest nesting colonies of Rhinoceros Auklets in the world and one of the last two nesting colonies of Tufted Puffins in the Puget Sound area. Sequim is 15-minutes from the Olympic National Park Visitor Center and the ferries to Victoria, B.C. Explore all that the majestic Olympic Peninsula has to offer from lush trails of the Hoh Rain Forest to the summit of Hurricane Ridge. By Lost Mountain Lodge.